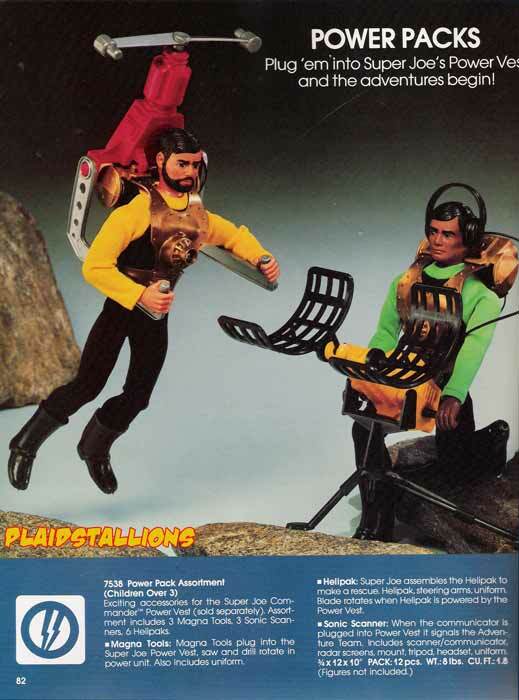 The Power Packs were a clever way of integrating Joe's Power vest, things actually worked.. 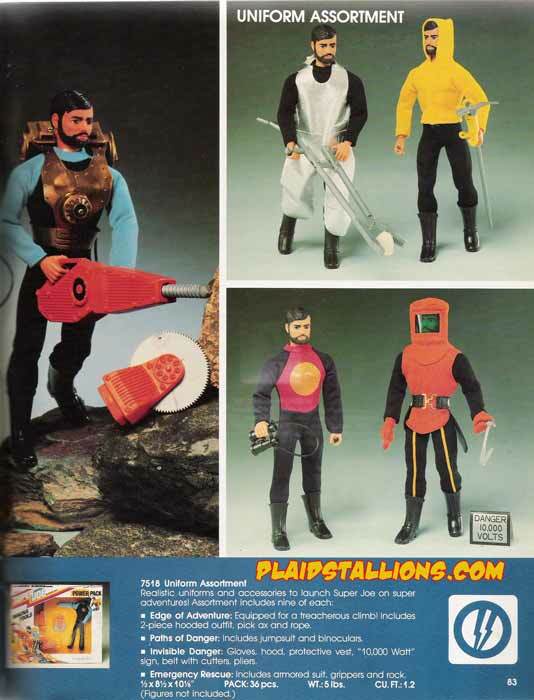 These cheaper costume packs are still easily found on the secondary market, some of it recycled from the original G.I. Joe line. 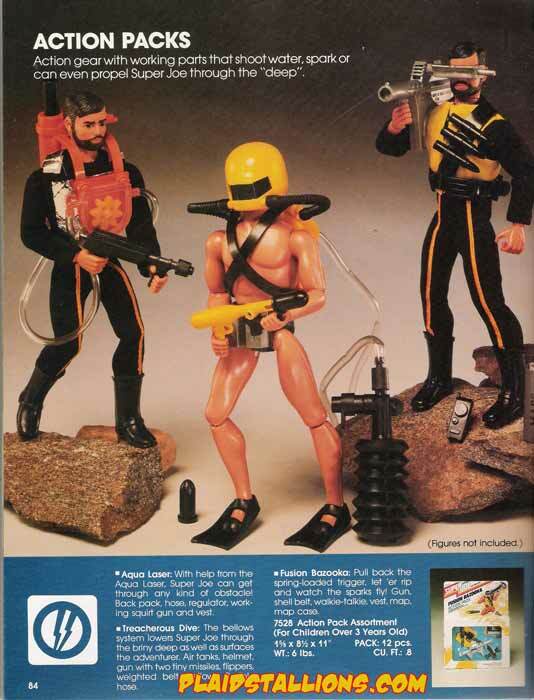 These action packs had unique features such as squirting water or sparks through a gun held by the figure. 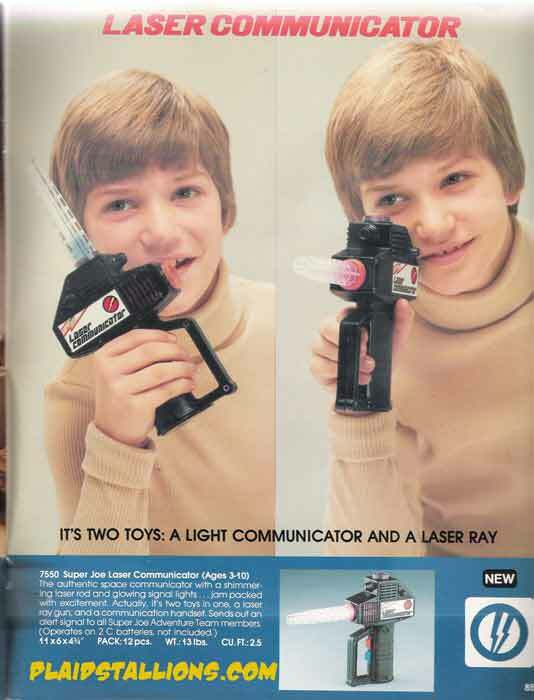 These communicator/ray guns might not have made it into production.